Star Wars fans will be feeling the force with the special Darth Vader Souvenir Steins that have been cropping up at the Popcorn Stands on Hollywood Boulevard in Disney’s Hollywood Studios as well as the Ice Cold Coca-Cola Stand you’ll find at the park’s entrance. Here’s a side view of this terrific souvenir. Its great for your soft drinks while you at the parks and can be taken home an refilled with your beverage of choice! Darth Vader Stein – The stein retails for $13.75 comes filled with your favorite fountain beverage. We think it goes perfectly with the AT-AT souvenir popcorn bucket you’ll find at the same location for $25.00. 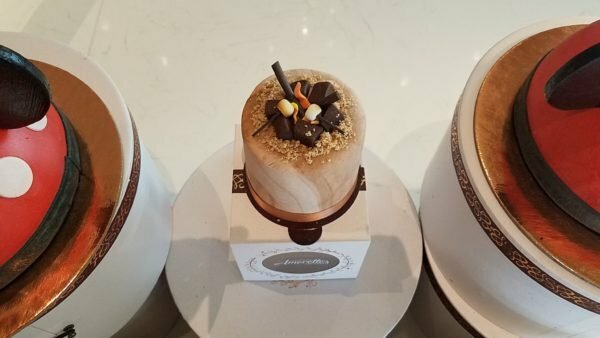 Readers are encouraged to keep following along with Chip and Co. for the latest Disney World eats and treats! Why not consider working with an Authorized Disney Vacation Planner? As an agent with MickeyTravels, I can help you get the best discounts for your Disney World vacation package, assist with making dining, Fastpass and F00d & Wine Festival reservations and can even help you plan an itinerary filled with extra special touches. Best of all my services are absolutely FREE! Contact me at 1.800.801.4025 via email at mroden@mickeytravels.com or on Facebook and let’s get planning!